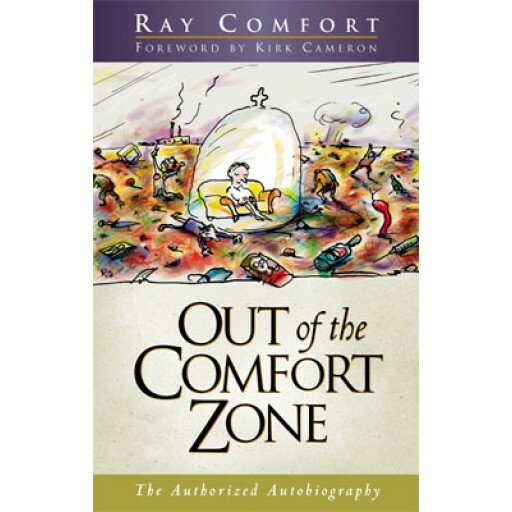 Ray Comfort's autobiography shows you how to step out of your own comfort zone... and reach the lost! 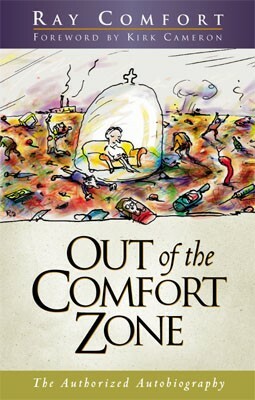 Most of us have our own "comfort zone"- the place where we feel safe and satisfied. However, circumstances often drive us out from that area in which we feel most comfortable. Such was the case when Ray Comfort found himself being taken 7,000 miles from his home in New Zealand, to speak to the daunting residents of the most dangerous part of Los Angeles, California. MacArthur Park was infamous for being the home of murderers, drug addicts, thieves, pimps, prostitutes, and unfortunately, the destitute and the homeless. At times, this fast-moving and true-life drama will make your hair stand on end as you enter the dark side of the supernatural. It will also encourage you and lift your faith as you learn how a celebrated Hollywood actor teamed up with Ray Comfort to bring an amazing message to America. "GET THIS BOOK! It will challenge you to get out of that chair and into the real world sharing Christ with the lost." "I could not put this book down! 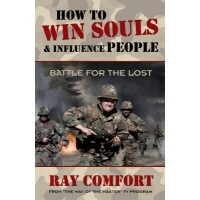 If you're interested in evangelism, then this book will amaze you! It is the single account of one Evangelist's journey from getting saved to leading thousands to Christ. You will read about the struggles of trying to reach the lost in some of the darkest areas of the community. I recommend this book to anyone who wants to learn how to share the Gospel of Jesus Christ." “I really like this book and I received it quickly. We are way to comfortable in our own little worlds, but this book helps you realize how you can help others see their eternal destiny. It is also a great book as a gift for those friends and family members you want hear the Gospel message in a very interesting way.” Barbara Henry (FL). This book is powerful. It has convicted me to help the poor in such a deep way. I know with the money I get, I can use it to help the poor in many ways. GOD used this book for me to help the poor with such deep zeal. This book gives me a super zeal for the GOSPEL and to help the Poor. I can't even put it into words. Ray Comfort story is mind blowing! Gives me a love for the poor. How I got the book?